Exceptional Quality. Boundless Storage. Perfect Setting. 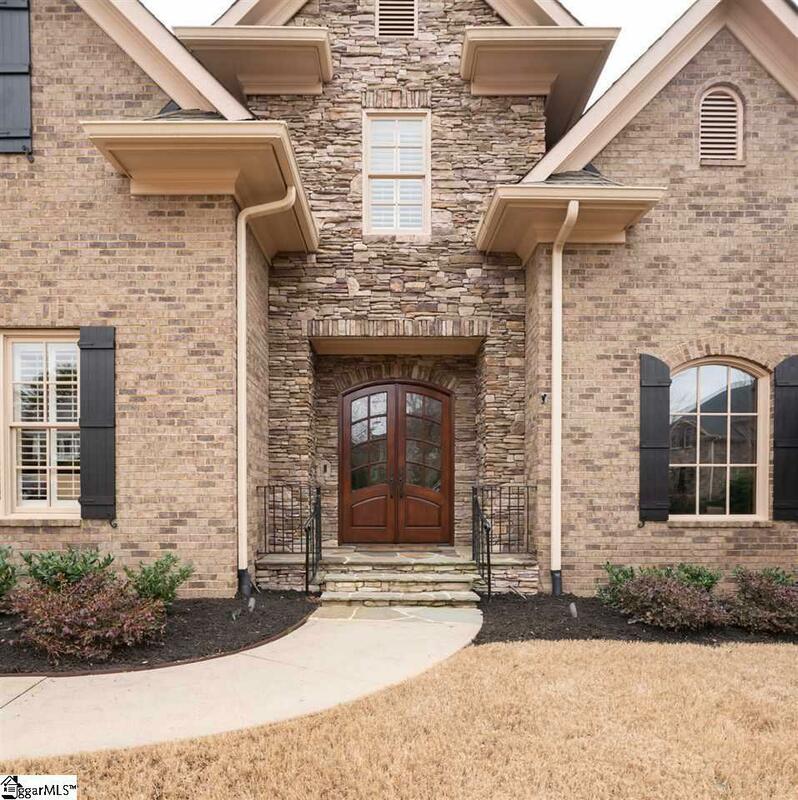 Just a few ways to describe this custom built home in the gated community of Kingsbridge in Five Forks Simpsonville. 5 Mitchell Spring Ct is perfectly positioned on nearly a half-acre cul-de-sac lot with gracious areas for recreation as well as cozy places to relax and entertain including the covered rear porch with its own outdoor fireplace as well as the private screen porch off of the master suite. The home's interior also boasts countless ways to live day to day and enjoy guests. 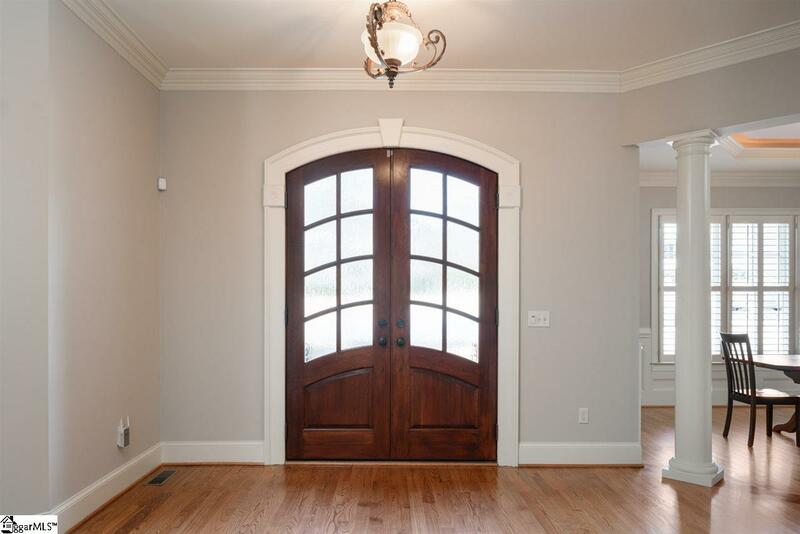 Because the staircase is tucked away at the rear of the home, there's a gorgeous foyer with views of the elegant dining room, living room or library with impressive furniture-grade built-ins, as well as the richly appointed home office with French doors. And the open floor concept is beautifully executed with the kitchen, breakfast area and den/Great Room all flowing seamlessly together for optimal efficiency and enjoyment. Don't miss the large walk-in pantry as well as the pot filler above the gas cooktop. Down from this area of the home, you'll find a charming half bath, a large laundry room complete with cabinets and hanging space as well as drop zone off of the 3-car garage with epoxy flooring and a yard door. The master suite showcases a double tray ceiling, hardwoods and a well appointed bathroom complete with a jetted tub, fully tiled shower, two vanity areas and a sprawling walk-in closet with a custom inspired closet shelving and built-in furniture plan. Upstairs you'll be blown away by the size and options. There are three bedrooms, one sharing a Jack and Jill bathroom and the other two each having their own private bathrooms. And each bathroom has fully tiled tub/showers and large closets. There's also a large bonus room with enough space for pool, TV, games and more! And don't miss the TWO walk-in attic storage spaces. 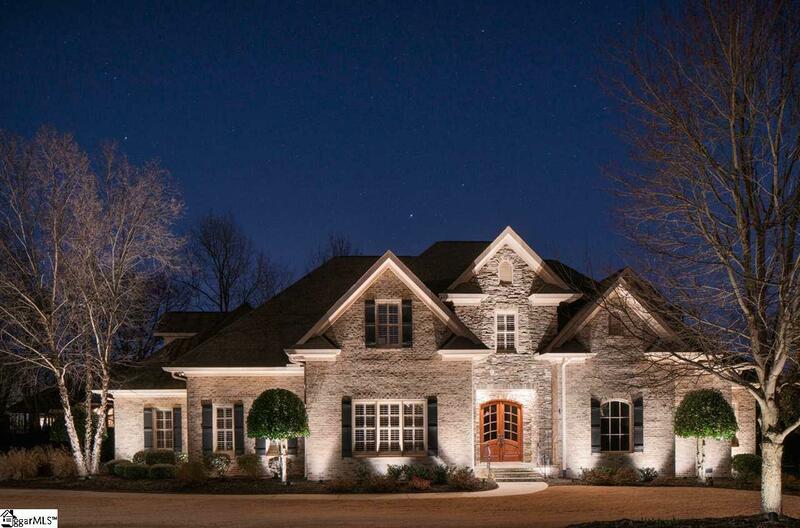 House generator, plantation shutters, full irrigation system, security system and more! 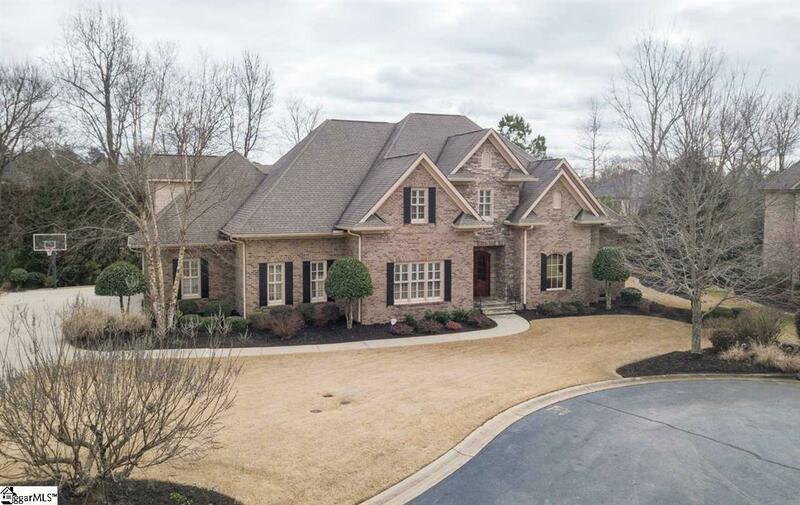 Kingsbridge affords a robust amenity package including a gated entrance, elegant clubhouse, pool, tennis, sidewalks and the most convenient location to Five Forks retail as well as Hwy 14, Woodruff Rd, Roper Mtn Rd and the GSP International Airport.